In this Readers Platform, the author makes the case that the hydraulic-elevator segment is alive and well. Have hydraulic elevators been redefined as “green” in the environmental sense, monetary sense or both? You decide. To start, thank you to all the content experts worldwide who have contributed numerous detailed editorial pieces to ELEVATOR WORLD, as well as consumer-outreach efforts and training classes related to these questions and technology advancements regarding the worthiness of hydraulic elevators. In 1998 in North America, we witnessed the introduction of traction machine-room-less (MRL) technology previously available in the European market. It did not take long for MRL marketing efforts to target the low-rise hydraulic market, focusing on contamination potential, energy efficiency, footprint considerations and latency. Fast forward roughly 20 years to today, and we find that hydraulic elevators are not “dead” as predicted by some, but alive and well, with many companies setting historic unit sales growth achievements and working to develop methods to further increase production. Considering this, and applying a little deductive reasoning, it appears that many of the claims were put to bed during this timeframe and that two-to-four-stop hydraulic elevators are a match for the market demand for total cost of ownership, ultimately reinstating the historically defined market segment as still viable. Time and reality have caused us to evaluate installation, maintenance and repair costs, tempered by some market code requirements. This can be viewed as the total cost of ownership. As the marketing claims evolved and matured during an effort to displace one technology for another, I feel like the core topics have been beaten to death and that we have gone in a complete circle. Regardless of how some may feel, the market supply suggests the demand. One of the first claims that the hydraulic industry was faced with defending during the onset of traction MRL technology was the low-hanging fruit: the risk of oil contamination. With voluntary and code-mandated cylinder replacements starting in the 1970s and continuing into the 1990s, many existing single- bottom jacks were replaced or were under jurisdictional mandate to be replaced with double bottoms, domed pressure caps, anti-corrosive protection and/or PVC containment well-hole liners, leak-detection systems and an evacuation method. These preventive containment and monitoring technologies, along with code evolution specific to oil contamination mitigation, defined the argument before it was even made around 2000, but the image of oil emerging from the ground beneath a hotel and seeping into a harbor was the picture being painted for those not familiar with hydraulic advancements. Simultaneous to the improvements for in-ground applications, the use of holeless hydraulic applications began to rapidly increase in the new-installation segment of the hydraulic market, providing exposed and visible cylinder systems that eliminated cylinder-to-earth contact. Simple yet effective products, including cylinder-head drip rings, catch pans, scavenger pumps and return lines have also contributed to responsible hydraulic oil management. Another innovative step that evolved prior to the war on hydraulic elevators was introduced in the mid 1990s. This was the development of biodegradable vegetable-based hydraulic oil made partially from renewable resources. Although regulated by the Environmental Protection Agency — just as is petroleum-based oil — the U.S. Green Building Council (USGBC) has recognized biodegradable, non-toxic hydraulic oil to be Leadership in Energy and Environmental Design (LEED)-point worthy under Materials and Resources/Rapidly Renewable Materials. We most often default to ISO 32 hydraulic oil, but with the availability of various oil types and specifications, proper oil selection can help prolong both oil life and components, depending on the many variable conditions. The long-looming question of whether the hydraulic oil should be replaced has also been addressed by way of advanced oil testing, so the question now is, will we accept tradition or science? 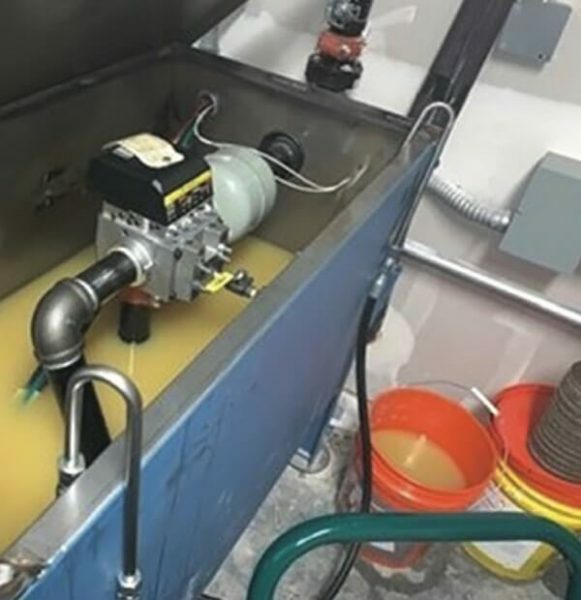 If an oil test is deemed necessary, methods for using external filtration to cycle the oil, while reconditioning hydraulic oil with new or additional additives, should not be a service that is overlooked. 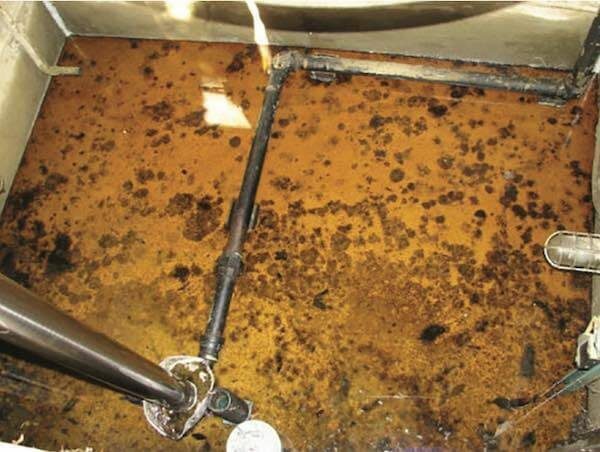 Dirty oil is often the root cause of accelerated hydraulic-elevator system component degradation or failures, so why don’t we put more focus on testing and reconditioning hydraulic oil? We change the oil in our vehicles regularly, and testing and filtering have been a practice for long-haul truck engine oil for roughly two decades. These advanced oil tests detect trace metallurgical elements of specific engine components, as well as oil specification integrity, and are reported to be within or outside acceptable tolerance. (Rather than changing oil every 10,000 miles, some long-haul trucks operate 50,000 miles, reducing environmental impact, as well as predicting engine condition and longevity). Testing, external filtration and additive services have been available to the hydraulic industry for the past decade and have been put into practice at many top universities as part of their sustainable maintenance plans. Given the environmental and economic benefits, it seems we should put these services more widely into practice. In a post-failure scenario, taking the steps to externally filter, test and amend the hydraulic oil with necessary additives to meet or exceed oil specifications can reduce the risk of repetitive or related failures. Also, only changing the oil in response to it being dirty allows unwanted residual particulates to remain in the hydraulic system. By keeping hydraulic oil below its acceptable high-temperature threshold, and keeping it clean and free from moisture, we can expect greater oil longevity, reduced component failure and fewer adjustment issues. Some unfamiliar with a healthy hydraulic elevator view visible oil on the piston or accumulations on the cylinder head as a leak. Although this can be the case (often related to dirty oil conditions that have compromised the packing or a score on the piston, both of which require a repair), a film of oil on the piston is necessary to properly lubricate the various seals in different packing designs. As the oil degrades or becomes dirty, this can lead to an insufficient film of oil on the piston, which can lead to the seals becoming brittle. Also, over time, the piston surface can become burnished, reducing its ability to carry a film of oil vital to the seal longevity. If the piston finish is not adequate, field resurfacing services may be necessary. Righting the sins of the past is often how we learn. We have gone through such cause-and-effect learning in the elevator industry over the years, with some of the hydraulic-elevator- related topics summarized in this article. We have developed, embraced and evolved/adopted codes and practices that are proven paths to mitigate historically identified risks. With the hydraulic-oil-management advancements noted above being used as a standard approach for new hydraulic applications, not only has the oil-to-earth contamination potential been mitigated, but the problem of catastrophic loss of pressure due to single-bottom-cylinder failure has also been addressed. The next battle for the hydraulic-elevator market in its competition with traction MRL products dealt with energy efficiency. During that time, and even prior, various hydraulic- elevator material suppliers developed technologies to greatly improve energy efficiency. For example, solid-state starters emerged and have now eclipsed the use of mechanical starters. With an original price point of US $800-1,500 per car to upgrade to a solid-state starter, the offering led to little or no changes in the market, despite the many benefits. Though the initial cost of a solid-state starter could be offset many times by its key advantages of built-in phase protection, lower instantaneous starting current, reduced maintenance, no contacts to check or change, and increased pump motor life, the technology was not fully accepted until the price decreased 50-70%. Even then, some control manufacturers offered solid-state starters at the same cost as a mechanical starter, as a promotional way to stimulate familiarity, which would allow the price to be eased back up once the benefits of the technology were realized. Because typical hydraulic elevators utilize a positive-displacement pump that starts and runs at rated RPM, ensuring proper valve adjustment is critical to provide the best efficiency and prevent excess heat from being generated. Oil is bypassed back to the reservoir during up acceleration, deceleration and leveling, so improper adjustment can lead to additional power consumption and heat generation. Adjusting the speed control to avoid long slowdown and leveling timeframes is critical to get the most from the system. Hydraulic valve improvements, by way of more advanced tooling and software, as well as simplified valve adjustment, have greatly contributed to improving bypass time, saving on power consumption and reducing heat. The rate of flow of the oil in the pilot valves and the main valves changes with oil viscosity changes. As the temperature rises, the viscosity drops, and the oil flows with greater ease. The change in viscosity can affect speed control, resulting in the elevator leveling faster or overshooting the floor, requiring the car to re-level. Where allowed by local code, many control companies offer a timed sleep mode that turns off the cab lighting and fan until a hall call or end of timer is activated. Use of energy-efficient LED lighting has also contributed to long-term power savings. Most hydraulic applications are designed to rely on heat dissipation through natural ventilation and thermal conductivity. As the oil temperature reaches the ambient machine-room equilibrium temperature, a temperature below 100° F can lead to a progressively higher viscosity, which may cause rough starting, ride pulsation and leveling problems. It is important to meet or exceed the pump unit manufacturer’s minimum clearance at the back of the tank based on the planned natural thermal transfer. Natural heat dissipation relies not only on the heat rising, but also on thermal transfer through the tank walls. As the oil temperature normalizes to ambient, ample clearance must be ensured to (what is often) one of the two long sides of the tank. Many elevator consultant specifications now call for 25-50% greater oil volume than necessary to operate a hydraulic elevator. This allows for better heat dissipation but, in some cases, requires the use of a larger tank. Given the restrictive conditions existing within some buildings, a larger tank may need to be a custom design or may not be feasible, considering installed compliant clearances. If the oil temperature is outside the optimal lower or upper thermal limit specifications, oil heaters and oil coolers are both available. Controlling oil temperature allows for more consistent and efficient operation. Maintaining an acceptable oil temperature before the hydraulic system begins to generate its own heat allows more precise oil-flow control, which viscosity, while prevents longer run times caused by higher allowing for better ride quality. This can be accomplished using a reservoir tank heater equipped with fixed or adjustable thermostats. The oil temperature will naturally rise during normal operation. When it reaches the thermostat upper limit (typically 100-130°F), the oil heater is disabled, and electrical power is only employed during system operation. Sometimes, the oil temperature will rise beyond the system’s ability to naturally dissipate the heat, which often leads to an overheat situation. 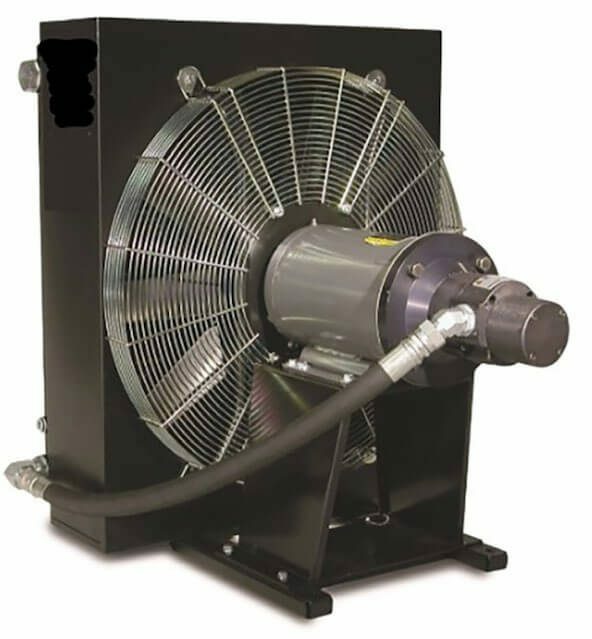 If the system temperature rises above 130°F, an oil cooler can be used to circulate the oil through a heat exchanger, thus dissipating a greater amount of heat in less time. Oil coolers can be placed inside the machine room, dispersing heat into the room’s space, provided the ventilation and/or heating, ventilation, and air conditioning (HVAC) system is sufficient to exchange the heat for cooler conditioned air. If increased natural heat loads, such as that during summer months, make it difficult for HVAC systems to maintain the optimal system temperature, installing the heat exchanger in a remote location is a good option for reducing the ambient machine room temperature and HVAC air-handling requirements. Under ISO 32, which is the most typical of hydraulic-oil specifications used in the elevator industry, allowing the oil temperature to exceed 140°F should be a noted unacceptable condition, as this is the point at which oil begins to break down. For every 18°F increase beyond 140°F, the oil integrity degrades by 50%, and temperatures exceeding 165°F permanently damage the oil, leading to the associated “hydraulic-elevator odor.” Most packing compounds experience permanent damage at 180°F. This makes it critical to know the elevator’s oil specifications and to control the upper temperature limit, which will provide optimal power consumption, oil longevity and performance (e.g., preventing long leveling times and releveling, while increasing bypass time). Modern temperature-control measures improve the passenger experience and enhance the viability of the hydraulic elevator as a functional and dependable low-rise product. Elevator consultants can play a valuable part in addressing hydraulic-oil temperatures. Take the example of an in-ground jack contained within a PVC encasement that has only air space between the cylinder and the PVC for thermal transfer, compared to the traditional direct cylinder burial, which dissipates some of the system heat into the large surrounding earth heat sink via thermal equalization. The consultant can weigh these options, while evaluating the current tenant usage, traffic patterns, occupant density and other considerations to ensure the building owner receives the most functional hydraulic system for the money. In recent years, many pump suppliers have seen upward sales trends in dry-power-unit sales, largely driven by consultant specifications opting for efficiency, greater oil capacity and greater motor longevity. As the traction MRL system began to be marketed as an all-inclusive approach for low- and mid-rise applications, the hydraulic sector found itself defending against the perceived potential for oil contamination and energy-efficiency questions. A third point in the debate centered on the physical size aspects. In the late 1990s, the thought of a traction elevator fitting inside a hydraulic elevator hoistway was unthinkable — until it happened. The advancement of traction MRL technology is synonymous with the utilization and incorporation of rare-earth elements into motor technology that allow machines of shapes and sizes compatible for use in hoistway overhead spaces, in many cases allowing for code minimum clearances. In particular, neodymium has reshaped the elevator industry, one hoistway at a time, though use of the element raises environmental and economic challenges of its own (see sidebar). Although other less-powerful magnets have been used in this timeframe, the element allowed motor design criteria and efficiencies once thought impossible. 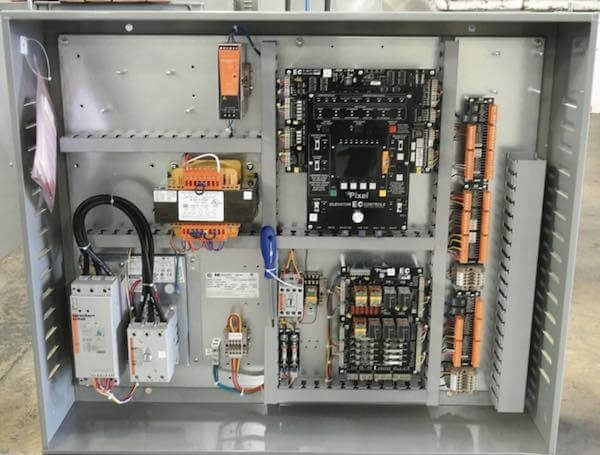 Applying the material to machines brought, along with code-compliant minimum running clearances, the ability to fit a traction elevator inside a hydraulic- elevator footprint. Now that the industry knows more about the evolution of traction MRL products, the use of a well-built hydraulic system, with a tank that can be reused while pumps, motors and valves are replaced over time, starts to look more attractive, especially when compared to rare-earth-magnet machine failure and replacement. Sustainability studies that include raw-material production, transportation costs and life-cycle analysis document the situation, and the industry needs to consider its next steps. For example, if the demand for rare-earth elements outpaces supply as projected, how will that affect the segment of the elevator industry that relies on them? Such a scenario would serve to further cement the role of the redefined hydraulic sector. 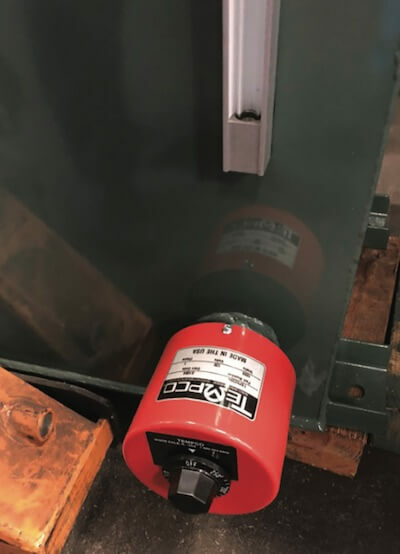 Many engineers and companies have long known that hydraulic elevators would make a comeback, and hoistway size considerations have led to the development of the hydraulic MRL units now on the market. With a push to eliminate machine rooms in the low- and mid-rise building sectors, hydraulic manufacturers, like their counterparts in the traction segment, began placing equipment within the confines of the hoistway. But, like traction MRL applications, hydraulic MRL units are under scrutiny by some local code jurisdictions over concerns related to safe and reasonable access, shear hazards, fire hazards, running clearances, public-access proximity to high voltage, sight lines, communication, barricades and hall encroachment. If the pushback becomes too great on MRL applications (hydraulic and traction), we could see the industry revert to a traditional, cost-effective two-to-four-stop hydraulic footprint with American Society of Mechanical Engineers-, National Electrical Code- and National Fire Protection Association-compliant considerations. With architects, end users and elevator consultants now having 20 years of traction MRL elevator cost data covering installation, operating, continuing maintenance and repairs, it seems that we have come full circle only to realize that hydraulic elevators represent a redefined market segment that has withstood a great deal of scrutiny. The two-to-four-stop segment demands simplicity, dependability and price point, and indications are that hydraulic systems are delivering on these needs. In recent years, hydraulic- elevator manufacturers have seen record sales, prompting extended lead times and expansion plans. Some who had once written off the hydraulic market are now returning. All of this seems to be a good indication that we have put many of these detailed discussions behind us and that the hydraulic market is alive and well. Considering these points, where does the hydraulic industry go from here? Are electronic valves, further control advancements and variable-frequency drive technology the wave of the future, or will price-point and simplicity demands outweigh technology improvements? Greater hydraulic efficiency for higher cost has historically resulted in return-on-investment discussions, with the traditional design staying basically intact. In all cases, the impact of raw-material extraction, transportation costs, manufacturing, installing, servicing, modernizing and end-of-life disposal/recycling have environmental consequences with arguments that can go both ways, boiling down to the ever-important price point, which also might be defined as “green.” I am left to define the term in both the environmental and monetary senses, given the health of hydraulic- elevator companies trending upward. As the market has become more educated over time, thanks to countless articles and continuing-education outreach, it would seem that environmental considerations are now acknowledged as being a factor in new hydraulic installations. For existing hydraulic elevators, the sins of the past are mandated to be rectified, while the price point and desire for simplicity remains of high importance in both modernizations and new construction. It seems that the choice of the right elevator for the right project will prevail. With AC permanent-magnet machines now heavily entrenched in the marketplace, used in MRL and machine-room applications, and with global demand of rare-earth elements rapidly increasing, such machines may face some difficult challenges over the next 20 years. Indeed, one must ask if it will be able to adapt and adjust as well as the hydraulic market segment has. Emery Thran began his elevator career at a large, North American-based control manufacturer in 1995, coming from the commercial construction industry, and joined the expanding Vantage team in July 2018. His professional elevator background includes extensive experience in traction elevators, hydraulic elevators and finishes, in both the modernization and new construction sectors. As the former director of an independent elevator manufacturer, his direct oversight of sales, marketing, design, engineering, development and manufacturing led to a new, independently manufactured, comprehensive traction package for MRL, overhead, basement and hydraulic products. Many successful and high-profile jobs, such as the Statue of Liberty, The New York Times building, the Federal Reserve Bank of Washington, D.C., and the Google building in Manhattan, New York, were completed with his oversight. Thran studied at the University of Nevada at Reno.